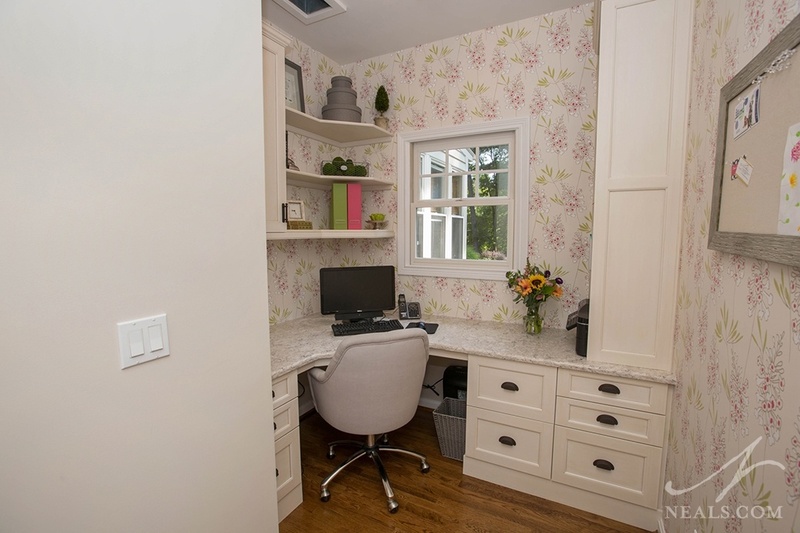 The homeowner was looking for a solution for a collection of working spaces on their first floor. Altogether, the two rooms and the closet hallway compromised a good amount of space, but in their existing usage the space was dramatically under performing. This project was initiated to create a better plan to use the space more effectively, and to pull it into line with the higher-end style of the rest of the first floor. The project involves four distinct areas: laundry, craft, office, and hall spaces. The first goal of this project was to redesign the space to better meet the needs of the homeowner for the various tasks they wished to do in each of the rooms. 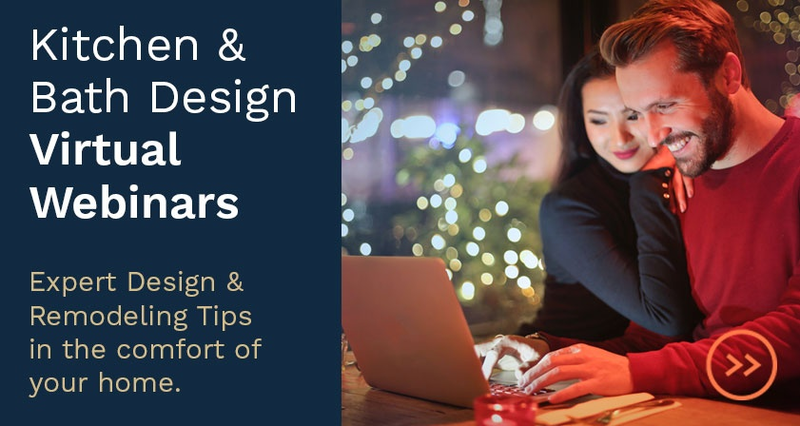 Once those tasks were assigned, the homeowner wished to improve the entire space with new materials and finishes, as well as better lighting with both task and ambient options. The homeowner was looking to create an open-feeling space that reflects a more casual design aesthetic for this portion of the house. 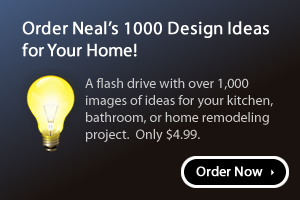 Finally, the project needed to improve storage in all the new spaces for the specific types of needs in each area. 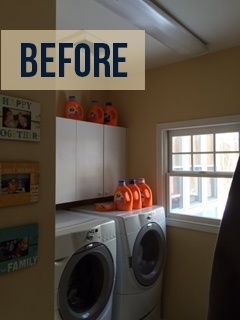 The wall between the laundry and office was reworked for a custom solution that takes advantage of the original location of the wall and the new location. On the office side, the new wall is flat, top to bottom. On the laundry side, the bottom half of the wall, where the washer and dryer sit, goes straight to the back side of that new wall. On the top, however, hidden by the wall cabinets, the wall is built back out to the original position. This solution is concealed by the vertical panel between the sink cabinet and the washer, making it difficult to see the difference in depth between the two spaces. 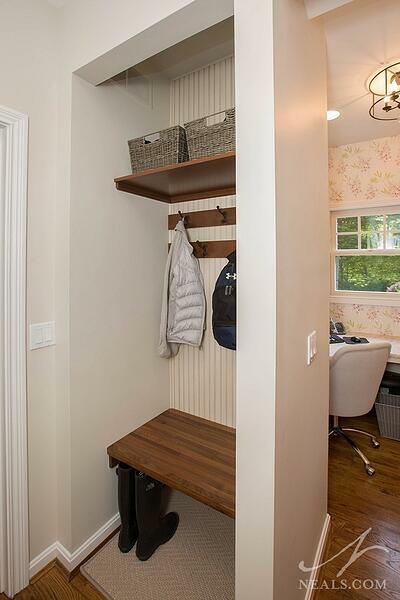 A short clothes rod over the sink provides hanging space that doesn’t overwhelm the wall, or take up working space. 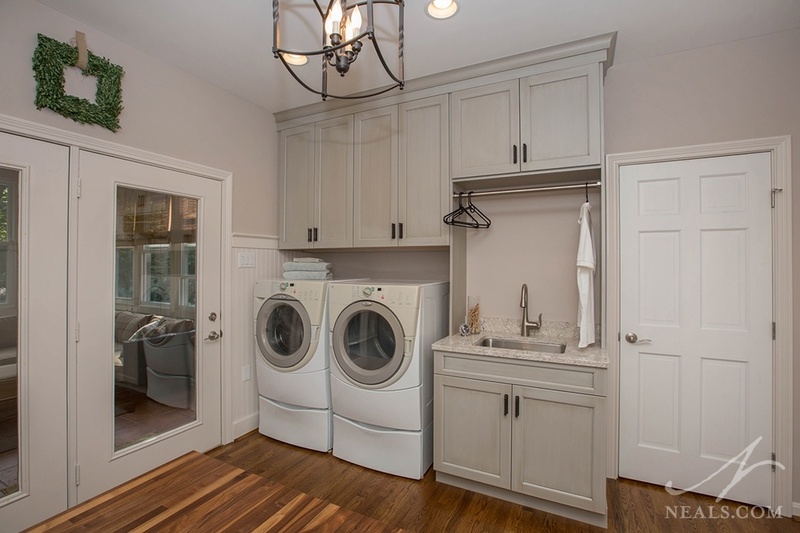 cabinets allow the laundry room to remain uncluttered. The large craft table also functions as a folding table for laundry day. corner was turned 90 degrees so that it could remain open for easy access, but doesn’t create a visual jumble from the doorway. The cabinet depth works perfectly for the standard-sized home printer. To further enhance the room’s scale, it was ultimately decided to leave the entrance into the space an open archway, rather than closing it off with a door. As this portion of the house is generally quiet, being away from the main areas, noise was not an issue. 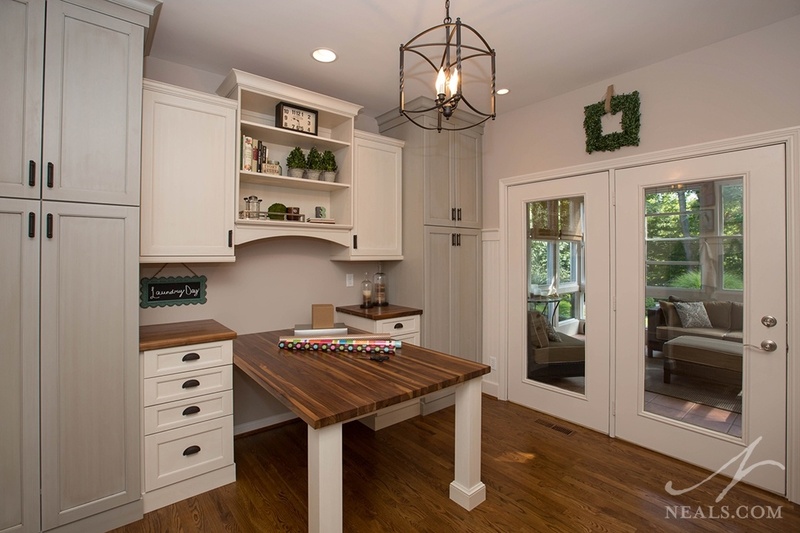 The color and style of the office cabinetry and hardware is a match to the craft cabinets in the laundry room, creating a connection between these two functional rooms. By moving the pantry storage from the hall closet to another area closer to the kitchen, the family regained their hall closet. This hallway, between the laundry and home office is also the entry hall from the garage. To capture the character of this section of the house also being an entry, the closet was opened up and refitted as a mudroom-like locker. A shelf and hooks provide easy storage for coats and other items. The bench seat is a convenient place to get shoes on and off. The hallway highlights one more aspect to the design of these new rooms. The bench is the same black walnut used in the craft area in the laundry. The bead-board at the back of the closet matches the bead board wainscoting in the laundry room. Also, the granite counter used at the laundry sink is the same as the counter in the office. This forms a complete design scheme that joins these functional areas together into one cohesive space.